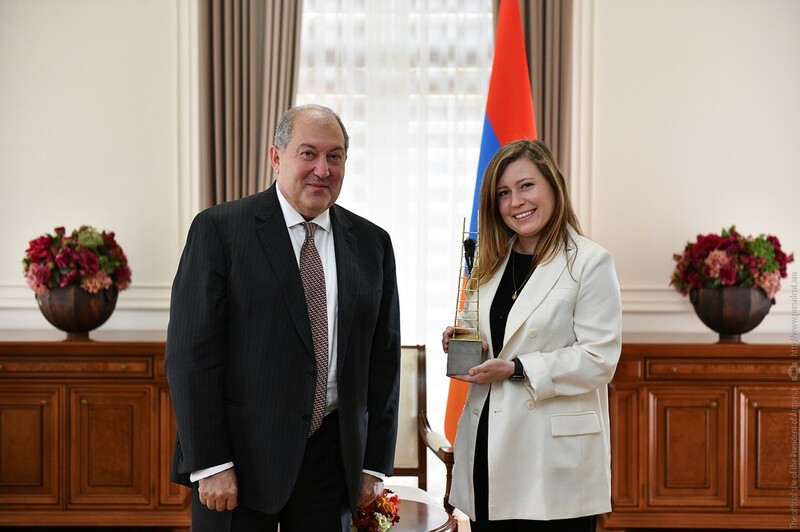 Natalia Glazkova – CEO of the Sense2beat project, winner of the summer competition “Sevan Startup Summit 2018″ received the special prize of the President of Armenia Armen Sarkissian. YEREVAN, NOVEMBER 23, ARMENPRESS. Three participating teams of the Sevan Startup Summit 2018 received special awards of the President of Armenia at the Presidential Palace, the Presidential Office told Armenpress. The first prize and 5 million AMD award were handed over to the SuperAnnotate AI project. The second and third awards were bestowed to YOLO and SENSE2beat projects respectively. 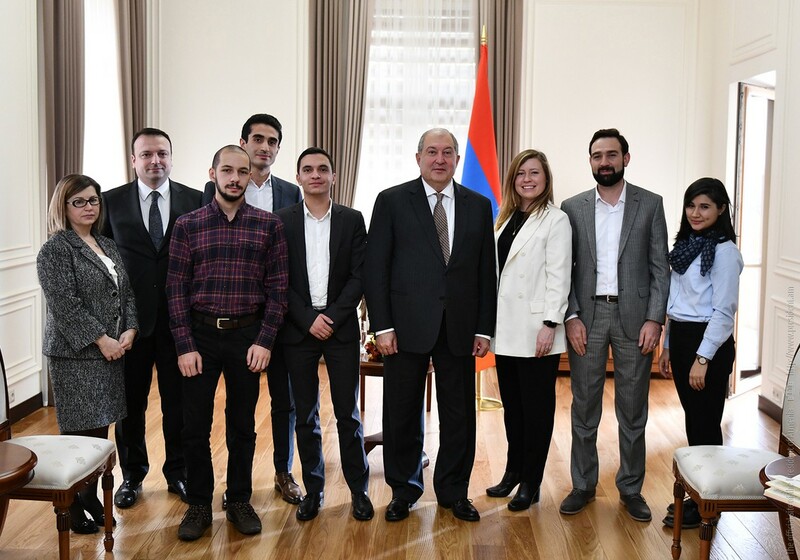 President Sarkissian congratulated the Sevan Startup Summit organizers and award winners, expressing hope that they will continue their activities and will be presented at the international arena. “It’s time for us to hold the Startup also in the Silicon Valley. Of course, the participation of 120 teams is a great number, but I hope that 1200 teams will participate in the coming years. This is a really perfect idea and project. Many young people make the first steps in life and will achieve great success with your help and the will of God”, the President said. 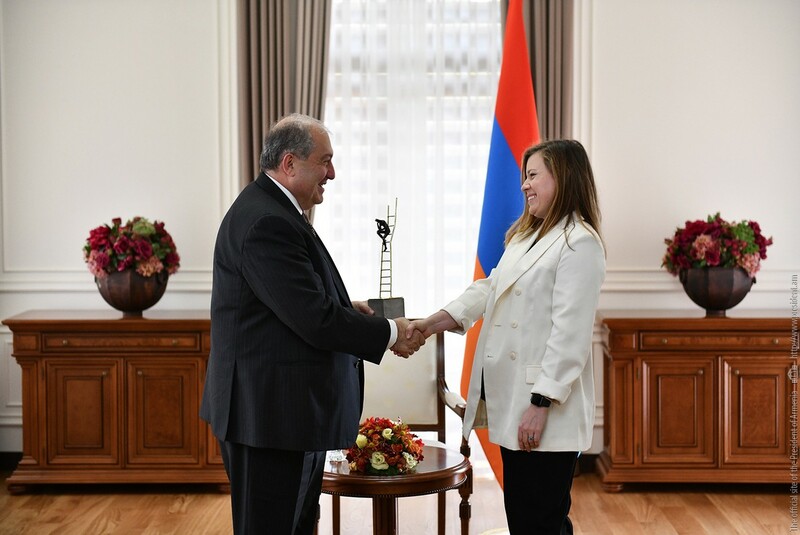 Startup Armenia foundation’s co-founder Hakob Hakobyan considered the President’s support encouraging. “The fact that you visited us and delivered a lecture was a great progress for us. And today’s awards and their idea are really obliging. We are ready to do more for Armenia to capture an important place on the innovation map”, he said.